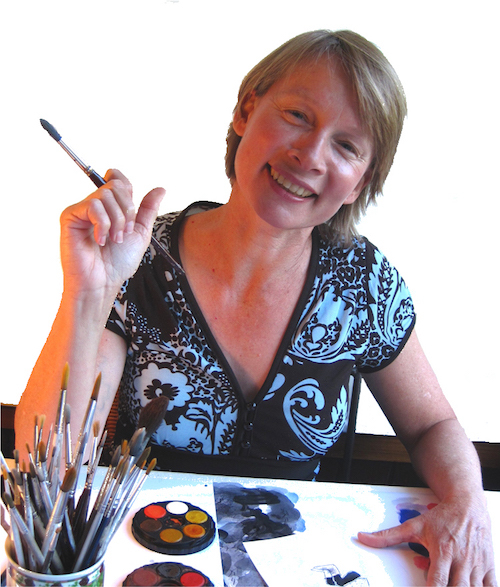 A former scientist, glass artist and lecturer, Gay left academia in 2010 to fulfil a lifelong ambition to write and illustrate children’s books. Her first book as illustrator The Smallest Carbon Footprint in the Land by Anne Morgan (IP Kidz, 2013) won The Wilderness Society’s 2014 Environmental Award for Children’s Literature. She has since illustrated two picture books for a community project with the Tasmanian Madi community from South Sudan, and is currently working on a picture book as author-illustrator for Walker Books Australia. 1984 – 2011 Over 30 scientific research articles in Australian and international journals including Evolution, Molecular Ecology, Philosophical Transactions of the Royal Society of London B, New Phytologist, American Journal of Botany, and Australian Journal of Botany. Topics include evolution of Eucalyptus, plant population genetics, pharmacokinetics and brain research. 2005 ‘Reticulate evolution in higher plants’, Chapter 6 (pp 81-96) of Plant Diversity and Evolution: Genotypic and Phenotypic Variation in Higher Plants, ed. Robert J. Henry, CABI Publishing, Oxfordshire, United Kingdom.